Welcome to the Geospatial Research and Mapping (GRAM) program. This program (NSF #1005258) is a National Science Foundation (NSF) funded Research Experiences for Undergraduates (REU) offering. For more information about NSF-REU programs please see: http://www.nsf.gov/crssprgm/reu/index.jsp. For information about our NSF REU award, please see: http://www.nsf.gov/awardsearch/showAward.do?AwardNumber=1005258. In previous years, our summer REU programs took place on-campus at California State University Long Beach, on the southern shores of Kauai, and at the famous Kualoa Ranch in the picturesque Hakipu’u and Ka’a’awa valleys on the northeast shore of O’ahu. This past summer we began a new project on Easter Island (Rapa Nui), Chile. Our plans are to return to Rapa Nui in the winter of 2015 for a short field season. We will soon be opening up the program to applicants. If you are interested in participating in geospatial research on Easter Island with an emphasis on remote sensing and UAVs, please stay tuned for more details about applications and our schedule. Geospatial science is an applied discipline that requires a strong field component. Employment in geospatial technology, a rapidly growing career option, often requires prior applied experiences. These field-based opportunities have become an increasingly essential component of the training for all geographers and related professionals. This REU entails a four-week summer program of training in geospatial mapping techniques related to natural and archaeological resource management. We are planning to run the four season of the three-year NSF REU program in January 2015. Over fall, accepted students will receive preparation in Easter Island research and geospatial technology via online interaction: computers, GIS, image processing, data generation techniques, etc. In January, we will then travel to Easter Island for a short two-week field project. This experience is designed to provide a truly unique research and educational opportunity for undergraduate students through active participation in data collection and analysis in support of ongoing research by scientists at CSULB and our colleague Dr. Terry Hunt at the University of Oregon. GRAM research is conducted at two scales: local site and broader landscape. The summer research experience emphasizes the use of geospatial techniques to aid hypothesis-driven geospatially based natural resource and archaeological research and mapping that will result in improvements in the monitoring and analysis of environmental processes on Oahu. The natural resource-focused research contributes to improved understanding of long-term changes in vegetation cover dynamics, natural hazards, non-point source pollution, and surface/groundwater quality. The archaeological research improves our understanding of settlement chronology and resource utilization prior to European contact. An important practical goal is to assist Easter Island agencies with baseline studies and monitoring protocols to assess the effectiveness of ecological restoration and cultural preservation activities. GRAM provide is a framework for geospatial analysis of the landscape that introduces undergraduate students to technology and the culture of research while providing the tools and methods required to map, monitor, and analyze patters and environmental processes. 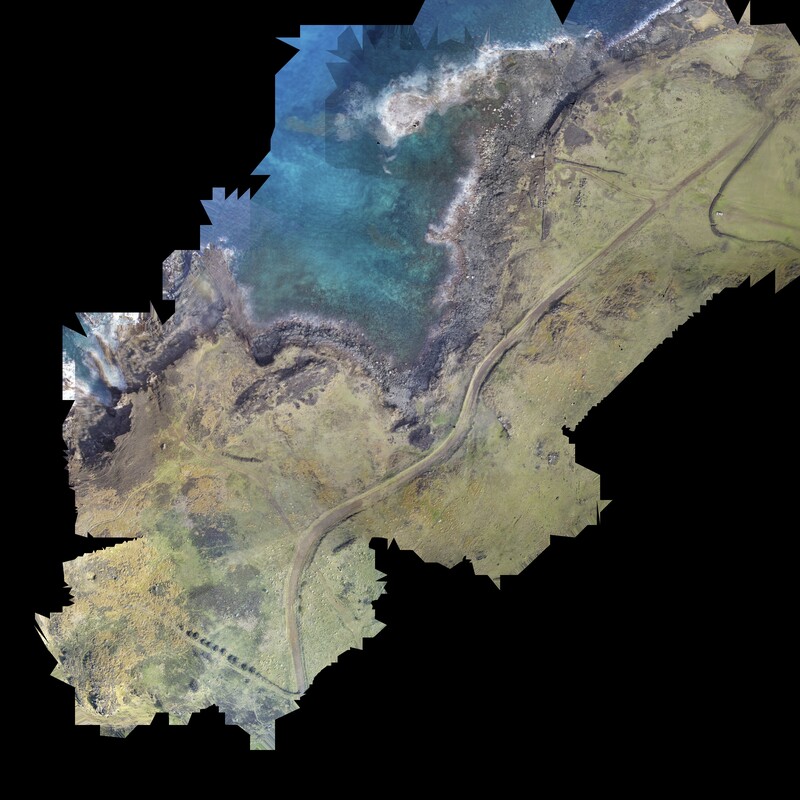 GRAM allows undergraduate students to develop research questions and conduct basic and applied research on Oahu using cutting-edge geospatial technologies. This REU site research focuses on the geospatial sciences and will apply geospatial technologies to address a combination of archaeological, natural resource mapping, and applied research questions. Geospatial science refers to sub-disciplines within Geography (such as spatial analysis, biogeography, and hydrology) that evaluate the earth’s surface through the use of fieldwork and geospatial technologies, and integrate physical, biological, and human-built environments, both ancient and contemporary, for analysis and assessment. Geospatial technologies include geographic information systems (GIS), remote sensing, thematic mapping, image processing, global positioning systems (GPS), and spatial statistics. Students will be able to learn in the natural laboratories provided by Easter Island, an island with some of the richest archaeological sites in the world. Students are responsible for their travel arrangements to and from the Los Angeles area (California State University Long Beach). Students must arrive at CSU Long Beach on January 2, 2015. The program ends on January 16, 2015. Students will receive a $500 stipend for their participation in this program and/or additional uncompensated costs related to the summer experience. Note: All students are expected to be able to bring a recent vintage, full-size (i.e., non-netbook) Windows-based laptop (Mininum: 8GB RAM, 250 Gb Hard disk, Video card, MS Office 2010), for use during the field program. Please contact us regarding your computer if you have any questions regarding its capabilities. Housing and food while on Easter island. Applications will be online here. Completed applications (including 2 letters of reference) are due no later than November 1, 2015. Eligible Student Participants: Undergraduate student participants supported with NSF funds in either Supplements or Sites must be citizens or permanent residents of the United States or its possessions. An undergraduate student is a student who is enrolled in a degree program (part-time or full-time) leading to a baccalaureate or associate degree. Students who are transferring from one college or university to another and are enrolled at neither institution during the intervening summer may participate. High school graduates who have been accepted at an undergraduate institution but who have not yet started their undergraduate study are also eligible to participate. Students who have received their bachelor’s degrees and are no longer enrolled as undergraduates are generally not eligible to participate. (source: http://www.nsf.gov/pubs/2007/nsf07569/nsf07569.htm, 3/5/12).